Uses Protects against the risk of bacterial contamination in minor cuts, scrapes and burns. When using this product: do not use in the eyes, with deep or puncture wounds, serious burns or animal bites. if condition persists for more than 72 hours, consult a physician. Protocol: Shake well before use. 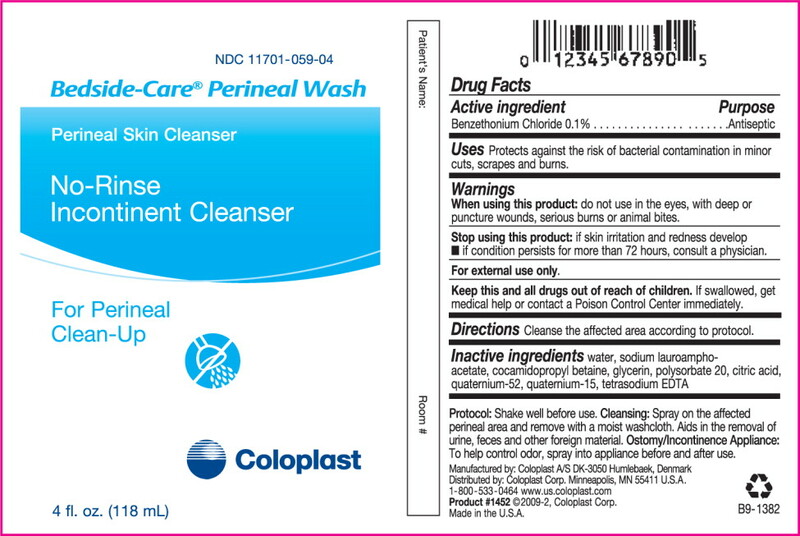 Cleansing: Spray on the affected perineal area and remove with a moist washcloth. Aids in the removal of urine, feces and other foreign material. Ostomy/Incontinence Appliance: To help control odor, spray into appliance before and after use. Product #1453 ©2009-2, Coloplast Corp.